The ‘Testostertones’ male voice choir from NUI Galway has been selected to compete at the prestigious Llangollen International Musical Eisteddfod in Wales. The Llangollen International Musical Eisteddfod, which takes place from 1-7 July, is one of the foremost world festivals of music, dance and culture. It includes competitions showcasing choirs and dance troupes from across the globe, attracting over 4,000 performers and as many as 50,000 visitors each year. Established in 1947, the International Eisteddfod promotes peace and goodwill between nations by bringing performers from all cultures and nations together through music. The festival is world renowned, having welcomed international music stars including Luciano Pavarotti who competed in the competitions as a boy and returned to perform as one of the most successful tenors of all time. This year, the ‘Testostertones’ will join international competitors from all over the world in a vibrant carnival of culture. They will perform a number of songs, including folk songs from the West of Ireland, in both Irish and English. 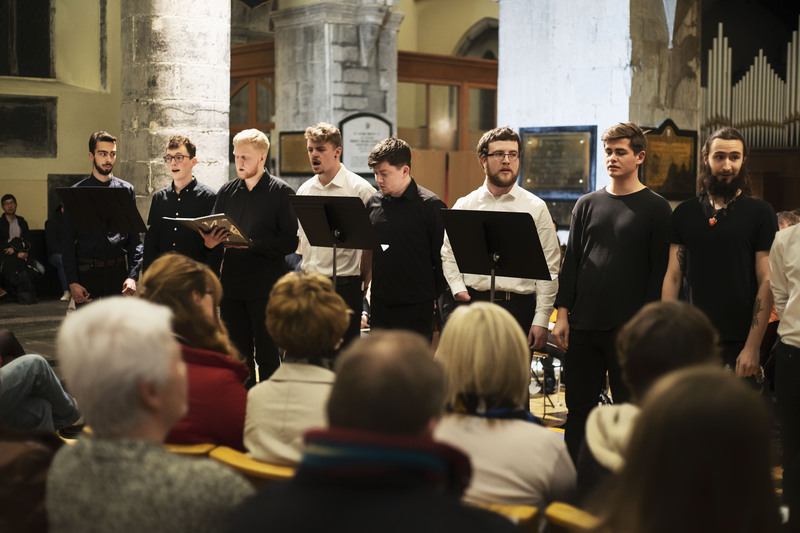 Choir Director and NUI Galway graduate, Peter Mannion, said: “This is a wonderful experience for the singers. Performing at one of the world’s great music festivals will be a highlight for both the singers and their families.